Dr Tilly started working at Abbey Dental Whitechapel in 1997 as a receptionist/dental nurse. Since 1999 Tilly has taken on the role as practice manager and brings a wealth of experience to the team. Tilly is dedicated to supporting and developing the team and is focused on the delivery of excellent care. In her spare time Tilly enjoys traveling, socialising and spending time with her family. Samiyah L Kalam BDS (Manc) 2002. Dr Kalam graduated in 2002 from Manchester Dental School and carried out her VT in the Lancaster Primary Dental Service, dealing mostly with dental emergencies, trauma and acute dental pain. She has had many years of experience in both Private and NHS dentistry, is a member of the BDA and continues to strive for professional excellence by keeping abreast of the latest and most current dental treatments by attending regular dental courses. She enjoys all aspects of dentistry, in particular oral surgery, cosmetic and restorative dentistry. Kalam is a valued member of the team. Languages Spoken: Apart from English, she is also fluent in Hindi, Urdu and Bengali. Dr Kumar qualified from Liverpool University in 2012 and has since been working in general practice providing dental care for his patients. Kumar has a keen interest in further education and is currently undertaking his MFDS examinations and a PG cert in Implantology. He has a particular interest in minimally invasive Cosmetic dentistry and Endodontics. In his spare time he enjoys playing a variety of spots especially football and badminton. Dr O'Brien graduated from King's College London in 2011 and undertook vocational training in Surrey. He then worked as an associate for 2 years in South West London and joined Abbey Dental in 2014. Dr Shah graduated from Mumbai University in India before relocating to London where she completed her Statutory Exam in 2008 and completed her vocational training in Kent in 2009 in accordance with KSS Deanery. Shah is compassionate and empathetic with her patients. She offers comprehensive dental services including cosmetic, restorative, oral surgery & Preventative care. Shah is committed to continuing professional development and making sure that patients receive plenty of TLC during appointments. As well as English Shah speaks various Indian languages including Hindi, Gujarati and Marathi. Dr. Kalam graduated from King's College London in 2011 and undertook foundation training in Norwich. He has since worked as an associate mainly in South London with experience in NHS and private dentistry. 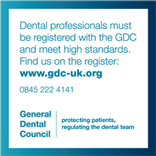 Generally enjoys all aspects of dentistry with a special interest in prosthetics. Dr Afroza Begum graduated from the Eastman Dental Institute in 2008. She undertook great challenges post studies by helping victims in the Indonesian earthquake in 2009 and the IDP in the camps in Peshawar. Her passion is helping people to help themselves and when it came to raising funds for the 'malaria no more campaign' she even jumped off a plane in a tandem skydive! Afroza is a helpful and committed to getting the best results for every patient. As well as English, Afroza can also speak Bengali and is happy to give oral hygiene instruction to help with the process of returning your gums back to health, answering any questions about treatment happily. In addition to dental hygiene, Afroza carries out teeth whitening and can offer hygiene treatment using a special Airflow polishing device for those smoking and corsodyl stains. Mr Manrique de Lara Lorenzo qualified in 2010 in Spain. He enjoys traveling and sightseeing different parts of the world.